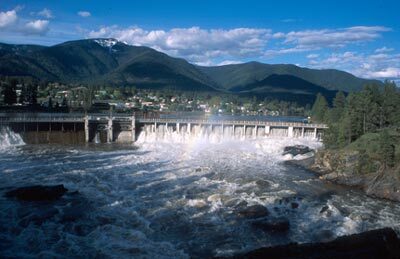 The U.S. Supreme Court is set to review a Montana Supreme Court ruling on December 7, 2011, regarding the navigability of 3 rivers in Montana. The Montana Supreme Court found that the Clark Fork, Missouri and Madison rivers were all navigable and held that the state of Montana owned the riverbeds. The Montana Court based its decision on the Navigability for Title Purposes Test which we discussed in class. It looked to whether the rivers were navigable at the time Montana was admitted to the Union, and found that they were. The issue of navigability started when Montanans began questioning whether the State was making the best use of its lands and generating enough revenue. The focus fell on the fact that Montana wasn’t receiving compensation for use of the riverbeds. A suit was filed against the State, alleging that it “‘failed to obtain full market value’ for the land upon which hydroelectric projects were located as required under state law.” The issue then turned to whether the State owned the riverbeds. The impact of the Montana Supreme Court ruling will be felt by companies like PPL Montana. PPL owns 10 dams on the 3 rivers and will have to pay $40 million in rent for its use of the riverbeds. PPL argues that the Montana Court should have determined the navigability of the rivers on a “piecemeal” basis and the federal government agrees. The Obama Administration has also sided with PPL and one attorney suggests that the fact that the U.S. Supreme Court even agreed to hear the case, “doesn’t bode well” for the state of Montana.